One of the questions we’ve run into from time to time is, “What are chain sprockets (or roller chain sprockets)?” Roller chain sprockets are, simply put, any wheel with teeth that mesh with a chain, although sometimes they are also run in conjunction with a track or other perforated material. 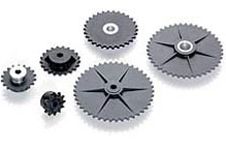 Not to be confused with gears, a roller chain sprocket never mesh directly with other sprockets. 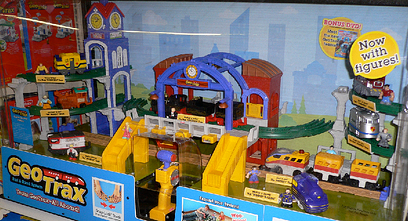 Torque Transmission faced a major challenge in its quest to effectively help Darko Inc., in Twinsburg, Ohio, demonstrate Darko’s latest point-of-purchase display -- Fisher-Price’s GeoTrax train system.